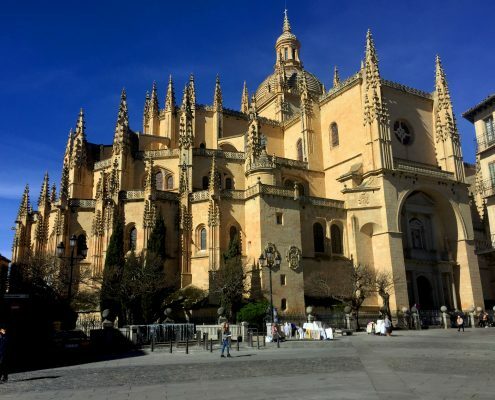 Earlier this month, Carmine’s Manager Stephen Kozicki took a break from Italian food to explore the world of Spanish food and wine during a surprise trip to Spain. He brought back some amazing photos and a wealth of knowledge. Take a look at some of the highlights! 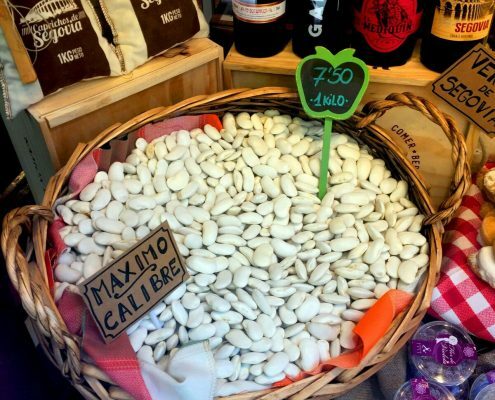 These local beans, called maximo calibre (large beans), taste great cooked with suckling pork jus, chorizo, crackling and spices. Soak for 24 hours and cook for 3 ½ hours. 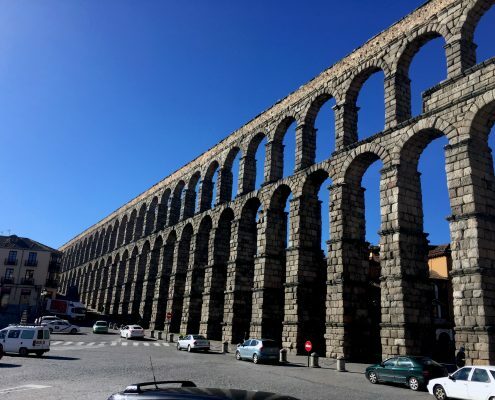 The 2-mile long town of Segovia has a rich history. It is home to the best preserved aqueduct in the world, which was built by the Romans over 20 centuries ago. 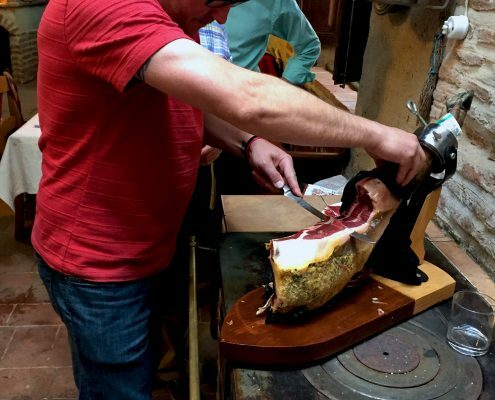 Stephen slices some Iberian Jamon before lunch at the winemaker’s home at Álvarez y Díez. 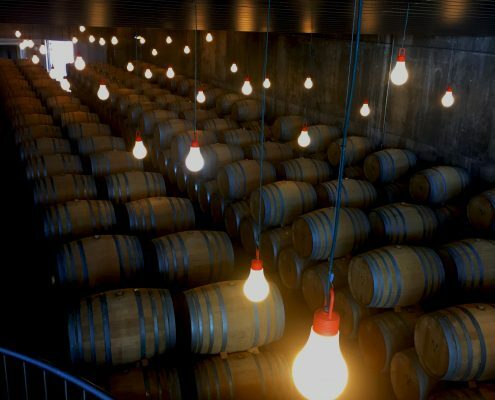 The barrel aging room at Belondrade Winery. This cathedral took 160 years to build and is the last gothic style cathedral built in Spain. 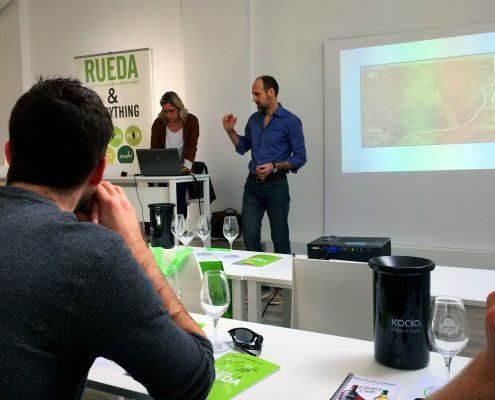 The Ribera and Rueda region liaison, Phillipe, gives a presentation on the wine region of Rueda. Most wine produced there is white with verdejo, both oaked and unoaked, accounting for almost all of production. Unoaked is similar to a sauvignon blanc while the oaked has a richer, creamier flavor. 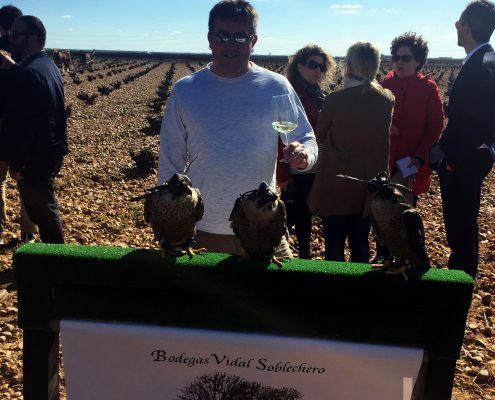 Stephen checking out the falcons at Bodegas Vidal Soblechero. They are trained to chase away rabbits, mice and pigeons that can harm the grape vines. 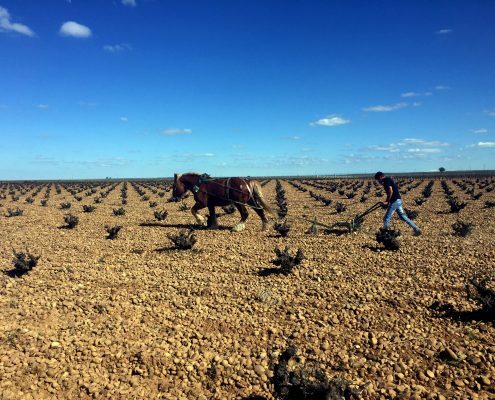 Bodegas Vidal Soblechero, a biodynamic winery, still uses horses to plow their vineyard. Biodynamics is the oldest, anti-chemical agricultural movement that predates the creation of organic farming by about twenty years. 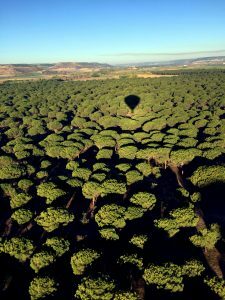 A hot air balloon ride over the beautiful Ribera wine region. Stephen says hello from the air! 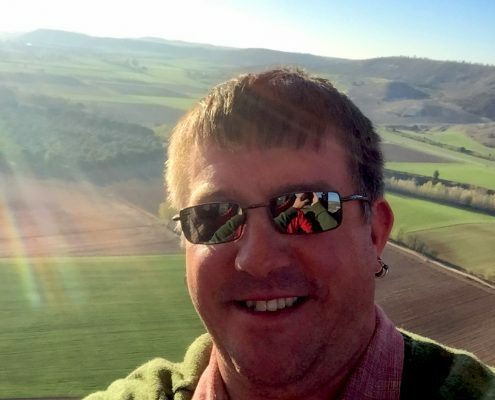 Stephen signs off on a great trip at a winery in Ribera, which primarily produces Tempranillo. 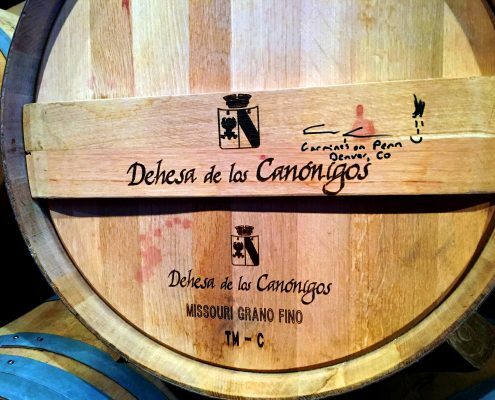 Wine barrels are only used for a few years, but the stave is saved and reused. Cheers to that! Thank you to Wine & Spirits Magazine for allowing Stephen to explore Spanish culture on this trip of a lifetime. We can’t wait to see what new knowledge and expertise he brings to the Carmine’s team. https://www.carminescolorado.com/wp-content/uploads/2018/06/carmines-colorado-sm-logo.png 0 0 Barefoot Public Relations https://www.carminescolorado.com/wp-content/uploads/2018/06/carmines-colorado-sm-logo.png Barefoot Public Relations2017-04-26 16:51:462017-04-27 20:13:25Welcome home, Stephen!